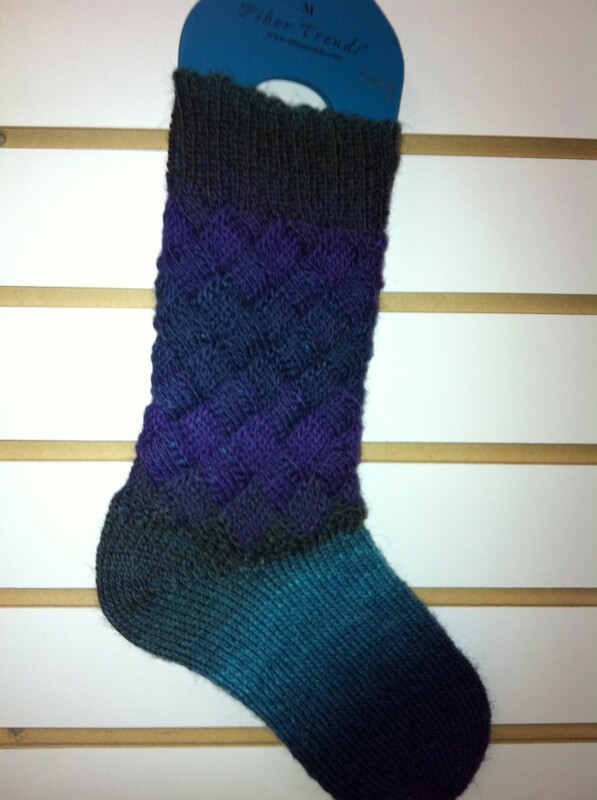 Self-striping yarn makes these socks more simple than they look. One skein of Poems Sock is enough to make a Ladies Large (10-12) pair of socks. The size of the cuff is constant, knit the foot length to desired size.